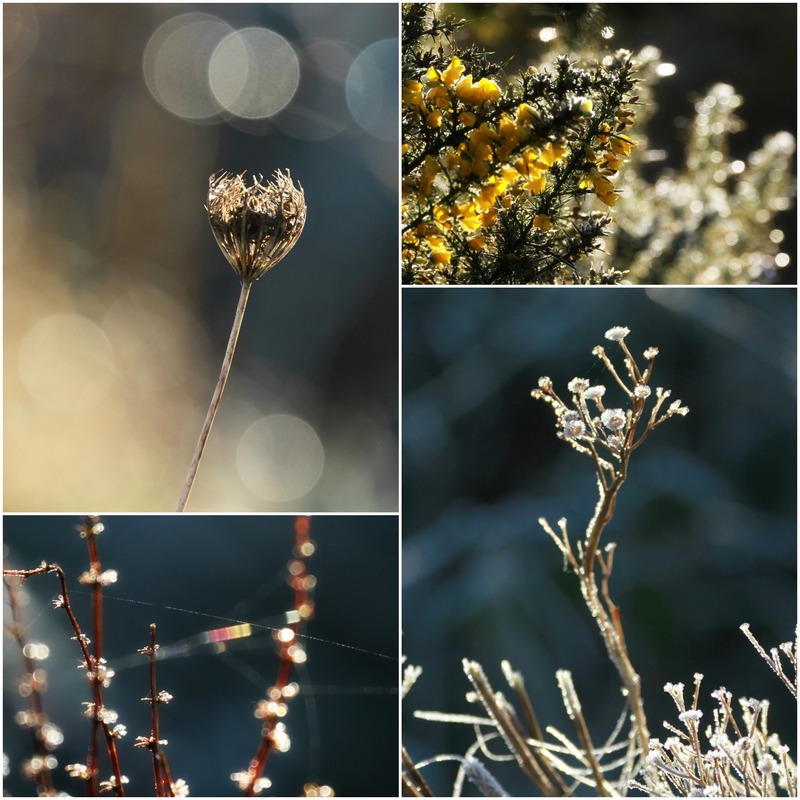 Early morning light at it’s best with sprinklings of frosty dew drops. From my window I won’t miss a thing that moves or changes. Small birds hang around on the willows, waiting for the breakfast I will serve them shortly. I’ve noticed the February sunrise is at the perfect angle. The dimmer switch is being turned up slowly. The sun selects the tallest and the most extended branches and puts everyday hedgerow plants in the spotlight. Small scratchy wild grasses glisten, ferns fold over and weave closer, faery dust magic making the meadow new. Because I have watched this meadow for so many years I can pick the exact moment. Just as the sun rises over the brow of the hill. Just as the ice begins to shine and dissolve. Then I get the wellies on and walk into the middle of it all. Bokeh is a Japanese word for the misty bubbly light that you see in these images. People often ask me how to make bokeh in photographs. Essentially it is an area of the photo which is blurred or out of focus. 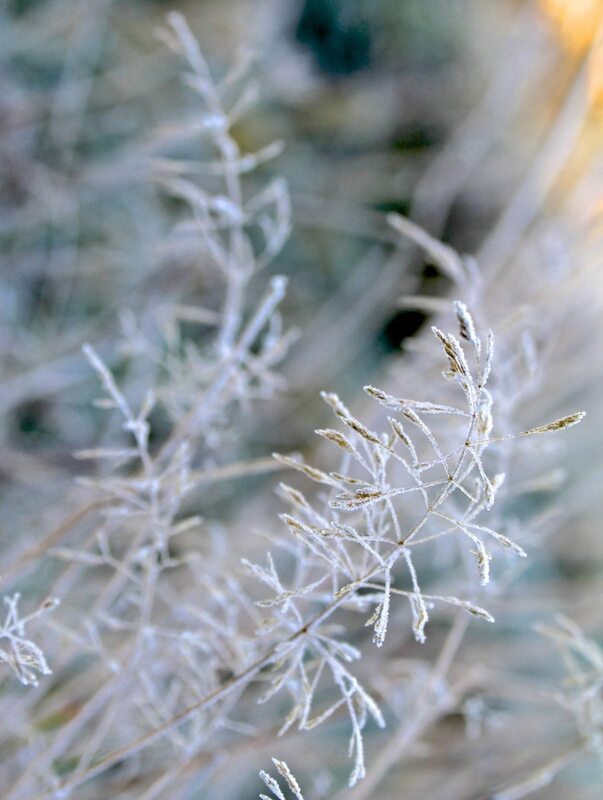 If you get close to a subject, like a branch or a flower, and focus on it, the background will blur a little. Some lenses are better at this than others. 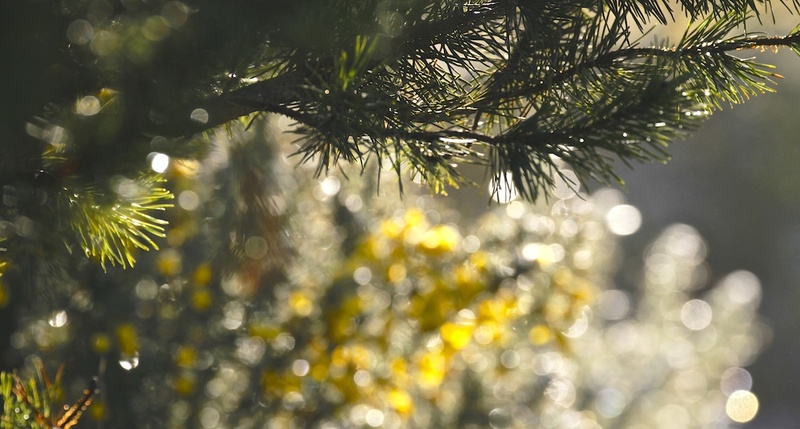 (The 50mm lens is renowned for creating good bokeh.) My top tip if you want to experiment with your phone or whatever lens you have is to choose a time when the sun is low in the sky. Then use the available sunlight to back light your subject. This means facing into the light rather than the traditional rule of have the sun behind you. Water really helps heighten the effect too. After rain or at the seaside put your subject in front of the water and watch the light dance on the surface. It goes against the grain a little but if you allow a bit of sloppy focus that will also help create this effect. The whole image will be appear impressionistic and atmospheric. You might even see rainbows! Enjoy giving it a try! Wow – these are absolutely stunning photos! Thanks Stephanie, it’s always about the light! It’s wonderful Joady. Don’t we live in a beautiful County. Oh! this is gorgeous. Jewels of light from an enchanted land. (… some day I should offer myself a proper lens). I think you create amazing images with the lens you have! 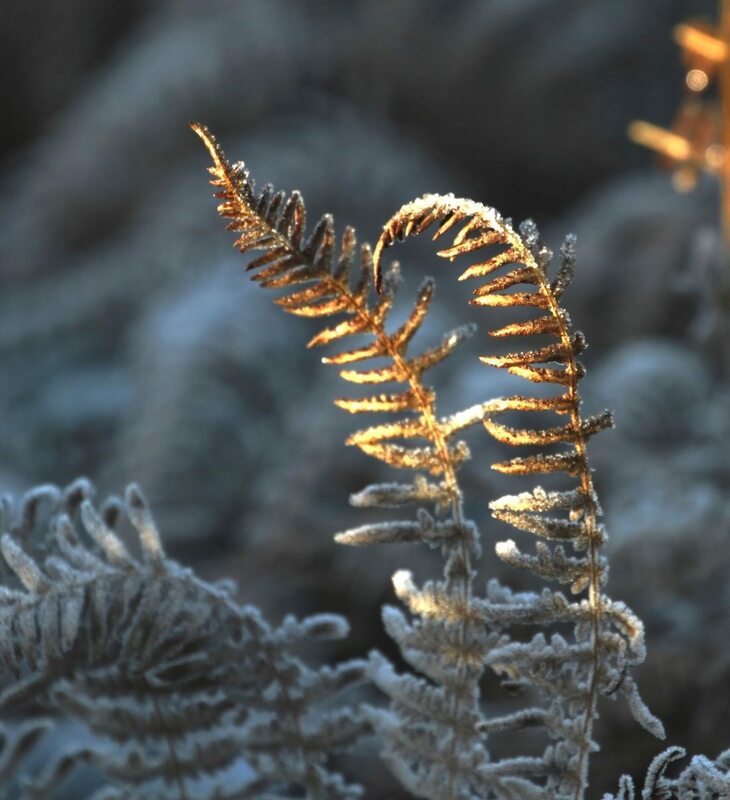 Beautiful photos Catherine, I really love the sunlit tip on the frosted fern. .. and thanks for your comment on my blog. Thank you Pat and you are welcome!